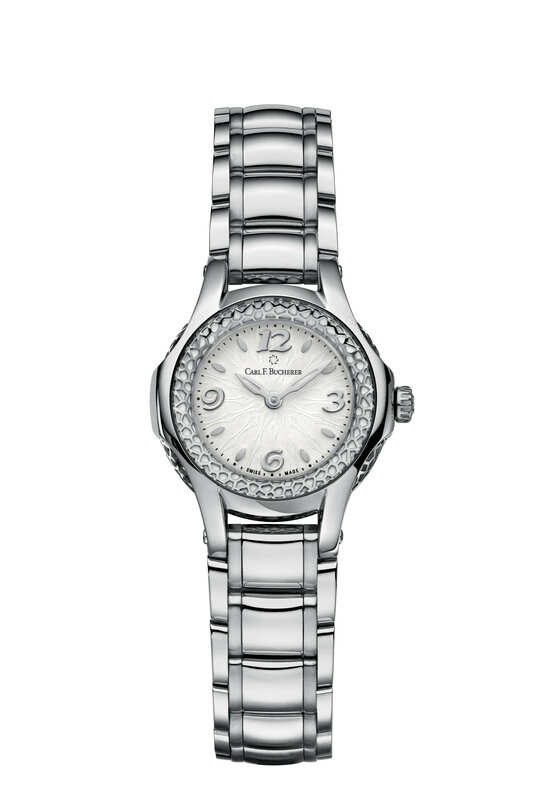 Multifaceted charisma and elegance: the Pathos Princess has all the qualities of a genuinely regal timepiece. Multifaceted charisma and elegance: the Pathos Princess has all the qualities of a genuinely regal timepiece. More than that, its youthful charm and many exquisite details make it a standout member of the Pathos family. The aureole characteristic of the Pathos line takes the form of a filigree grid. Finished in rose gold or stainless steel, it encircles a dial with delicate ornamentation against a pure white background. Set off against it are elegantly curved numerals at 12, 3, 6 and 9 o’clock, which create a harmonious interplay with the dainty hands. The sides of the case, too, feature an elaborate grid structure that breaks the light in a thousand refractions and underscores the extravagant character of the Pathos Princess.